The Amazon Spring Sale is now on and prices across large swathes of the online retailer's product categories are being cut fiercely, with everything from Hive smart thermostats, through Simba mattresses and onto Amazon's own Echo devices made available for a limited time at some spectacularly low price points. 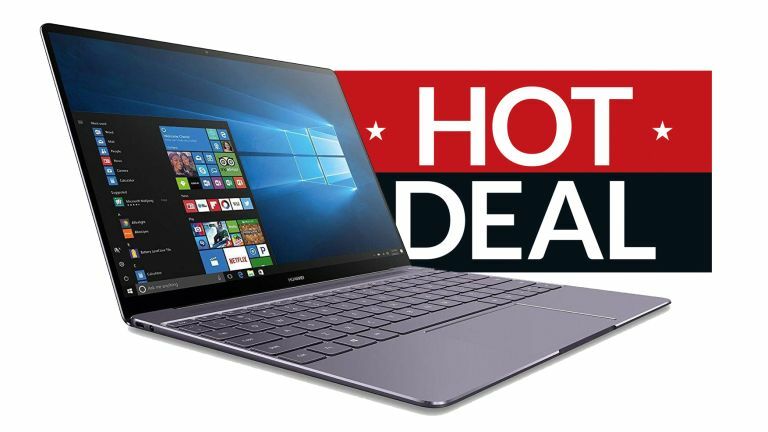 One of the absolute best Amazon Spring Sales deals we've seen so far, though, is this absolute stunner on the Huawei MateBook X, the powerhouse ultraportable laptop that delivers premium Apple MacBook aesthetics with a Windows 10 operating system. And, we think this really is an attractive laptop deal here at T3.com as the Huawei MateBook X delivers a system with a gorgeously thin and well-made chassis, a suite of quality internal hardware including an Intel Core i5 CPU, 8GB of SDRAM, and a fast and spacious 256GB SSD, as well as a 41.4 watt long-lasting battery, too. A copy of the fast and efficient Window 10 Home OS completes the package. If you like the look of the Huawei MateBook X but feel like something from a different maker could be better suited to you then be sure to check out T3's comprehensive best laptop, best lightweight laptop and best 2-in-1 laptop guides for a large range of quality systems. Be sure to also check out our curated list of the best laptop deals currently going.